This level have normal difficulty and you need to use good trick to complete this level. For this level you should try to break the blockers and make colorbomb. After combine colorbomb with yellow candy to complete the order and make wrapped candy as you get chance by playing from bottom. 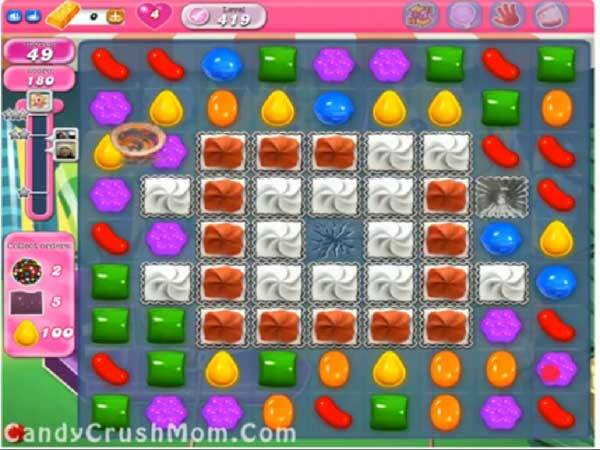 As you play from bottom candies will shuffle every where that could give chance to make more special candies. We completed this level with 71920 score using above strategy and got two star score at the end of the level.